French film critics coined the term "noir" to epitomize the surprisingly bleak and pessimistic turn they observed in many American postwar films of the late forties and early fifties. 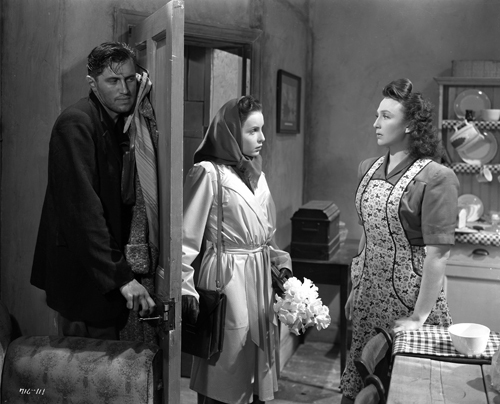 Disillusionment and paranoid malaise were not, however, confined to the States alone; during this same period Great Britain turned out a number of films that are thoroughly evocative of the noir tradition yet maintain an unmistakable sense of British composure. Pitch black in form and content and rife with themes of fatalistic abandon, these films depict an underbelly of British society where decorum isn’t quite enough to suppress greed, deception, and murderous intent. Pulp novelist Holly Martins (Joseph Cotten) travels to shadowy postwar Vienna at the invitation of an old friend, black-market opportunist Harry Lime (Orson Welles), only to find himself investigating his friend's mysterious death. Thus begins this legendary tale of love, deception, and murder. 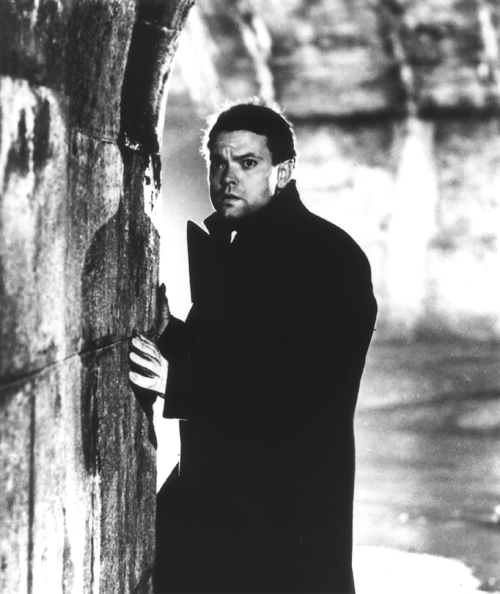 Thanks to brilliant performances, Anton Karas’ evocative zither score, Graham Greene’s razor-sharp dialogue, and Robert Krasker’s dramatic use of light and shadow, Reed’s THE THIRD MAN only grows in stature as the years pass. “One great shot after another. I’ve seen it 50 times and it's still magic.”—Roger Ebert. “It’s another rainy Sunday in London’s East End, its row houses, street markets, and narrow rooms populated by tea sippers and thugs, wide boys and spivs, temperance groups and coppers. Luckless cons work to offload the fruits of a botched raid (roller skates), a band leader aims his lechery towards a naïve young beauty, and, in one particularly cramped home, a fugitive (John McCallum) hides in the upstairs bedroom, protected by a housewife (Googie Withers) who was once his lover. All dreams are dead ends; all trains return to the East End. 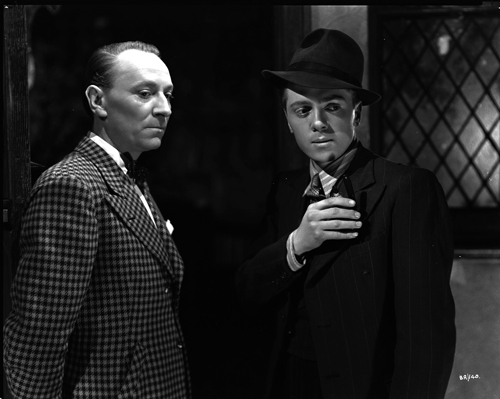 Hamer (KIND HEARTS AND CORONETS, DEAD OF NIGHT) ably juggles multiple story lines and flashbacks, while a final chase scene through the steam and shadows of a London rail yard adds an Anthony Mann-like noir flourish to the poetic fatalism.”—Pacific Film Archive. "A masterpiece of dead ends and might-have-beens, highly inventive in its use of flashbacks and multiple overlapping narratives, and brilliantly acted by Withers and McCallum… a sprawling, Altmanesque tapestry of East End life… Hamer might have been one of the major figures in modern British cinema. As things stand, IT ALWAYS RAINS ON SUNDAY is a major work, badly in need of rediscovery. "—Scott Foundas, The Village Voice. “The bodies pile up as sensitive film studio focus puller Mark Lewis (Carl Boehm) moonlights as a 'private' photographer of scantily clad women, while obsessively working on his own 'documentary' with the world’s most lethal tripod. Obviously, this perverse examination of 'scoptophilia' wasn’t expected from the director of such artistically acclaimed works as BLACK NARCISSUS and THE RED SHOES, and Powell’s career was effectively destroyed by the critical savaging: 'The sickest and filthiest film I remember seeing' – 'It’s been a long time since a film disgusted me as much as PEEPING TOM'... In the ensuing decades, the film’s stature has skyrocketed, with critics and audiences continuing to cringe at its unsettling mayhem, their nerves already lacerated by the garish color photography and design, as well as the jangling piano-and-bongo score.”—Film Forum. “Visually elegant, endlessly perverse. This film's endless, often outrageously Freudian allusions to the nature of seeing, possessing, and exploiting make it one of a kind. 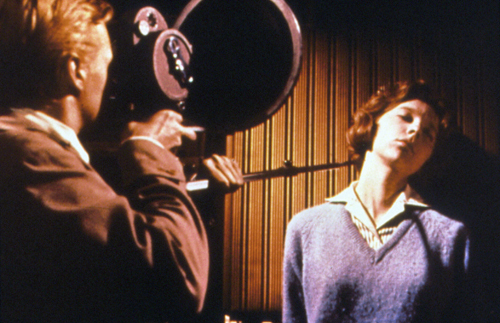 Its status as the kinkiest of cinema-conscious classics remains assured.”—Janet Maslin, The New York Times. Kelli Holloway, on the faculty of the Oregon Psychoanalytic Institute (OPI), is a psychodynamically oriented psychiatrist who specializes in issues related to depression/anxiety, trauma, professional and life transitions, and interpersonal relationships. She and Scott Murray, a psychiatrist and student at the OPI, will lead a post-film discussion after the screening on January 3. “The brilliant author Graham Greene provides the source novel and screenplay for this Dickensian glimpse into the underbelly of a typical British seaside resort, where sun, sand, and carnivals camouflage another town entirely. In run-down Brighton, the boardwalk is lined with pasty day-trippers and incompetent singing acts and patrolled by teenage Napoleon 'Pinkie' Brown (Richard Attenborough). With a choirboy’s looks and a killer’s cold stare, as alien to his fellow gangsters as he is to 'civilians,' Attenborough embodies a psychosis matched only by James Cagney in WHITE HEAT.”—Pacific Film Archive. “One of the finest British thrillers ever.”—Time Out, London. THE FALLEN IDOL was the first of three masterpieces (with THE THIRD MAN and OUR MAN IN HAVANA) to result from the legendary collaboration between Carol Reed and writer Graham Greene. 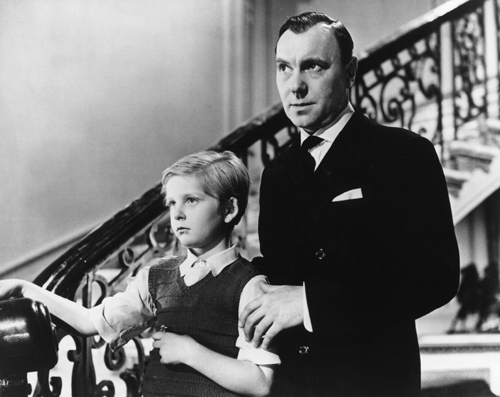 Elegantly balancing suspense and farce, this tale of the fraught relationship between a boy and the beloved butler he suspects of murder is a delightfully macabre thriller of the first order and a visually and verbally dazzling knockout. THE FALLEN IDOL received an Oscar nomination for direction and screenplay, won Best Director awards from the New York Film Critics Circle, and was named the Best British Film of its year by the British Film Academy. “You won’t find anything else half as entertaining!”—Stuart Klawans, The Nation.